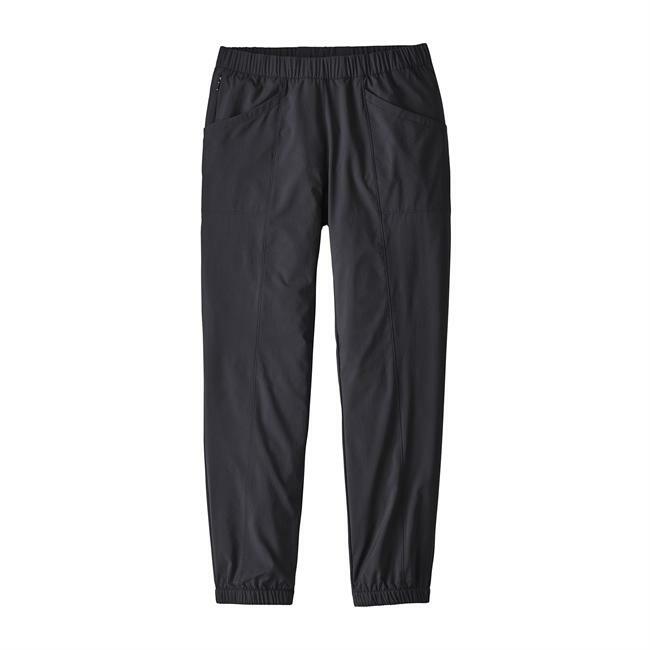 These lightweight woven pants are made with 100% recycled polyester ripstop that has 4-way mechanical stretch. A classic button, zippered fly waistband is improved with an interior drawcord and partially elasticized back. Pockets include two front drop-in (right hand has an additional concealed zippered) and in the back, two Velcro secured. 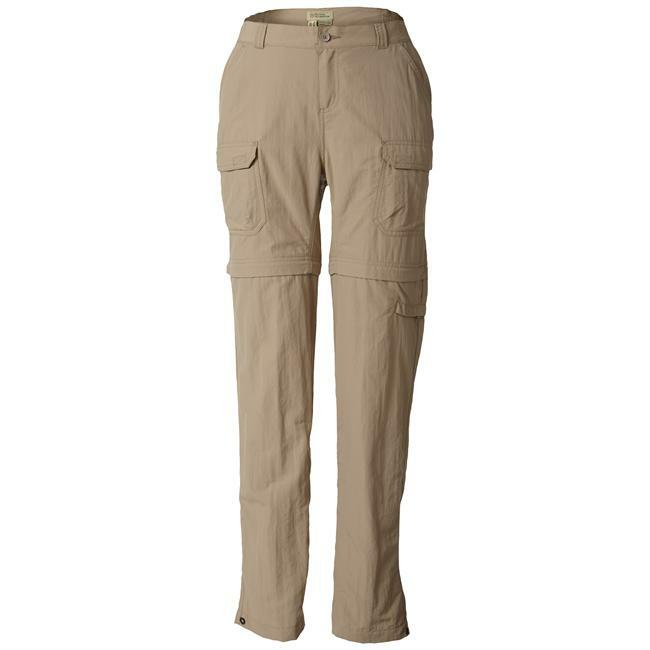 Pant legs can be rolled up and secured with button and tab. 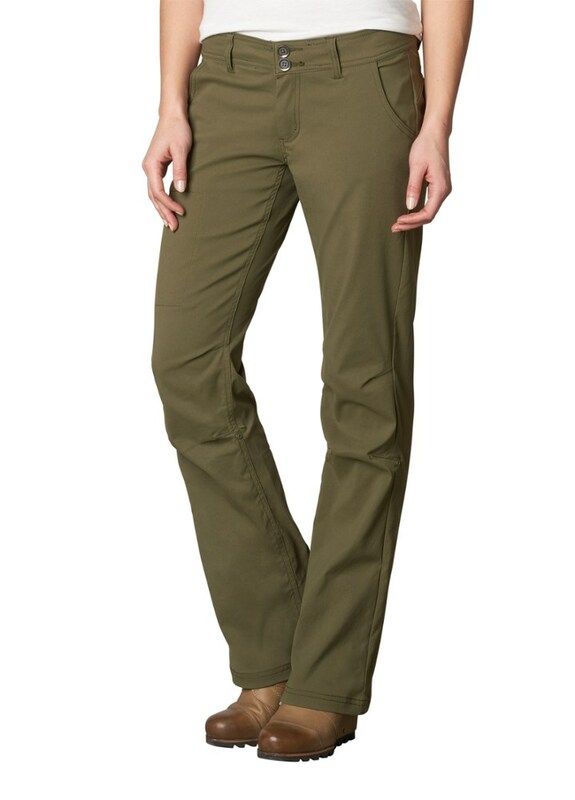 These lightweight woven Patagonia High Spy pants for women are made with 100% recycled polyester ripstop that has 4-way mechanical stretch and 50+ UPF sun protection to keep you covered and cool. The best trails follow small creeks where you can stop, rest, and enjoy the shade next to the water. 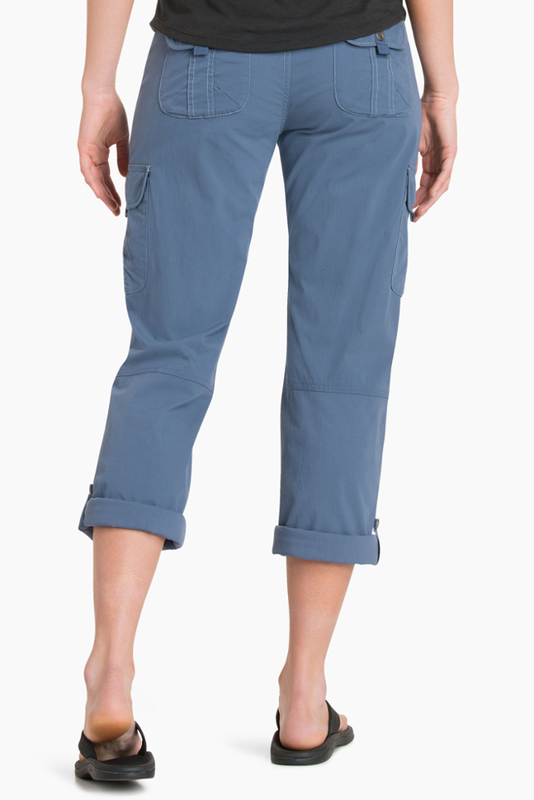 But frequent creek crossings can leave your pant legs wet and soggy, so Patagonia made its Women's High Spy Pants with cuffs that can be rolled up when you need to wade through small creeks. And if you do happen to get them wet, the quick-drying fabric won't stay wet for too long, so feel free splash right through if you don't feel like rolling up the cuffs.